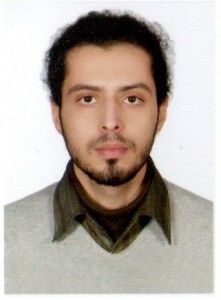 Ali Khodabakhsh obtained his B.Sc. degree in electrical engineering from the University of Tehran, Tehran, Iran, in 2011. He received his M.Sc. degree in computer science under the supervision of Dr. Cenk Demiroglu from Ozyegin University, Istanbul, Turkey, in 2015. During his M.Sc. studies, he worked on Automatic Speech Recognition, Automatic Speaker Recognition, Spoofing Automatic Speaker Recognition Systems and their Countermeasures, and Speech-Based Assessment of Alzheimers’ Disease. He contributed to the Spoofing and Anti-Spoofing (SAS) corpus, and consequently the Automatic Speaker Verification Spoofing and Countermeasures Challenge Special Session at Interspeech 2015 conference. He was an intern researcher under the supervision of Prof. Laurent Besacier in Laboratory of Informatics of Grenoble (LIG), Grenoble, France, during summer 2015. He is currently a Ph.D. candidate at Norwegian Biometric Laboratory (NBL) at Norwegian University of Science and Technology (NTNU) under the supervision of Prof. Dr. Christoph Busch. His research interests include speech and face biometrics, speech and video processing, and deep learning. Computer Speech & Language, 42 , pp. 20 - 37, 2017, ISSN: 0885-2308. EURASIP Journal on Audio, Speech, and Music Processing, 2015 (1), pp. 9, 2015, ISSN: 1687-4722. Fernández-Llatas, Carlos; García-Gómez, Juan Miguel (Ed. ): Data Mining in Clinical Medicine, pp. 159–173, Springer New York, New York, NY, 2015, ISBN: 978-1-4939-1985-7. 2018 International Conference of the Biometrics Special Interest Group (BIOSIG), pp. 1-6, 2018, ISSN: 1617-5468. 2018 International Conference of the Biometrics Special Interest Group (BIOSIG), pp. 1-5, 2018, ISSN: 1617-5468. 2018 IEEE Conference on Multimedia Information Processing and Retrieval (MIPR), pp. 372-377, 2018. 2016 24th European Signal Processing Conference (EUSIPCO), pp. 1207-1211, 2016, ISSN: 2076-1465. 2016 IEEE International Conference on Acoustics, Speech and Signal Processing (ICASSP), pp. 5570-5574, 2016, ISSN: 2379-190X. Odyssey Workshop 2016, Bilbao, Spain, 2016. 2015 IEEE International Conference on Acoustics, Speech and Signal Processing (ICASSP), pp. 4440-4444, 2015, ISSN: 1520-6149. IEEE-EMBS International Conference on Biomedical and Health Informatics (BHI), pp. 581-584, 2014, ISSN: 2168-2194. 2014 22nd Signal Processing and Communications Applications Conference (SIU), pp. 1003-1006, 2014, ISSN: 2165-0608. The full list of publications is available here.